Met with Benjamin Cory Jones Hollywood screenwriter with HBO about the future of LGBT Televsion; it was amazing!!! – Watch this space!! 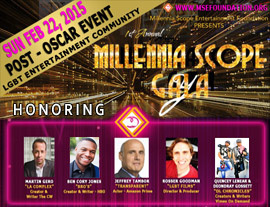 Like theMillennia Scope Entertainment Foundation website for updates on the NEW LGBT media. — with Benjamin Cory Jones at Larchmont Bungalow.